Eric Pike is Creative Director of Martha Stewart Living. 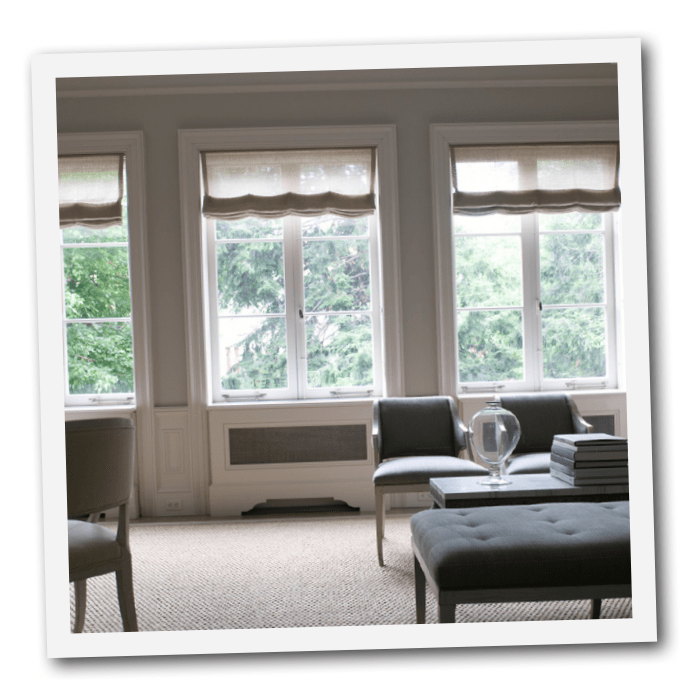 Stefan Steil is an interior designer and founder of Stelish. Some of his design work can be found at Stefan Steil. Portraits taken at their townhouse in Manhattan. 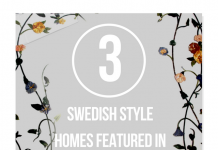 There are very few Gustavian styled homes photographed that are truly ALL Swedish inspired. 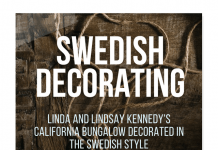 After looking at thousands of photographs, I KNOW it is rare to come across a home that is decorated or renovated all around the Swedish styles. Even if a home isn’t decorated to look centuries old, I find it rare to come across a person passionate for a particular period design that is pigeon-holed into a particular category. 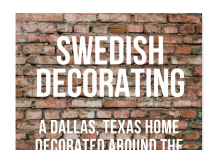 It is thrilling to say the least to see a home that is based entirely around a theme, such as Georgian, Egyptian, Early American, or my favorite Gustavian. When a designer sticks to a particular style of antiques, and thinks through the architectural elements and paint colors carefully, a story emerges that allows you to walk back in time. Not everyone has thousands of dollars to spend on antiques, or money to change the architecture, flooring, cabinetry or fixtures, so many of us have to start somewhere with one bench here, and a chair there. 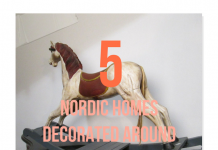 Building up a home that is entirely from one period and time frame can be incredibly exhilarating, and also quite expensive, but it doesn’t have to be. 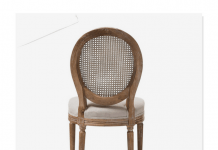 You don’t need to have ALL genuine antiques to get the Gustavian appearance in your home. 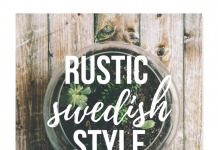 In this blog, I have put together dozens of posts with decor and furniture that look Swedish and aren’t. Some are costly, and others aren’t. 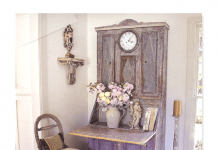 My own home is filled with a ton of vintage furniture that is made over to look Gustavian. Incorporating a few genuine pieces sure help! Your home should be what makes you happy, and not what a blog or a magazine tells you it should be. 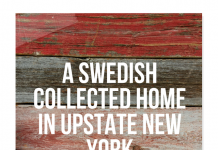 It is truly rare to come across a home that is based entirely around the Gustavian look, and not exist in Sweden, and that is the case with Martha Stewart’s creative director Eric Pike. 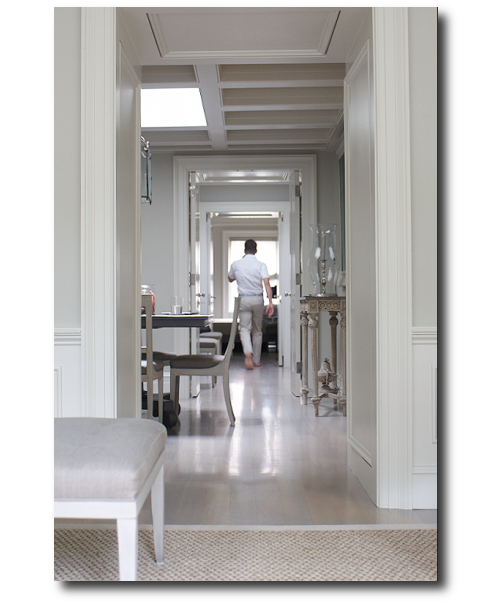 His townhouse in downtown NYC is one of these rare homes where the entire house is designed around a Gustavian palette. 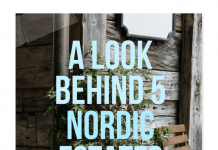 The Blog,….. An Afternoon With posted some incredible pictures of the home giving you extra ordinary angles that allowed you a better glimpse into the rooms. 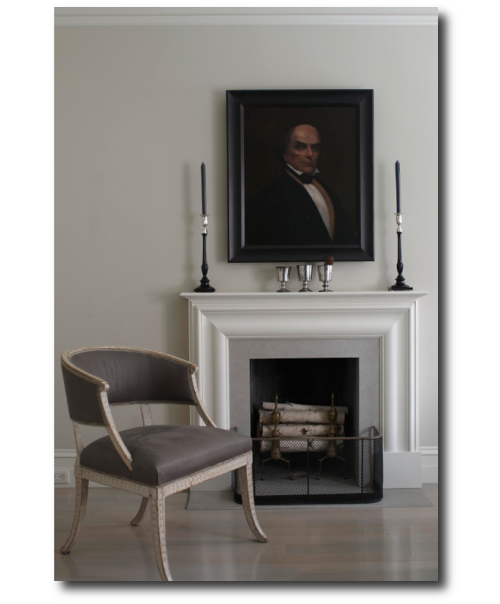 In one of the pictures a stunning oil painting hangs in the bedroom of Daniel Webster, a Massachusetts senator in the mid-1800s and an ancestor of Eric’s. While the whole townhouse looks like it is within one color, several tones are used. 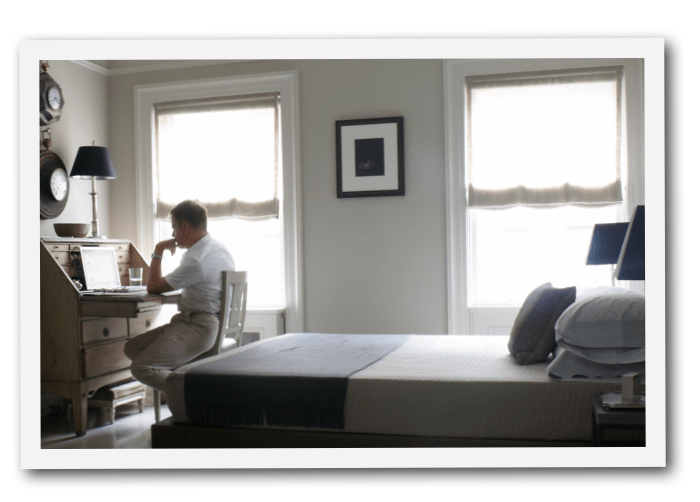 In the bedroom, and the office, the ceiling is a light blue. A light beige is used in the office with storage in a coordinating color. Vibrant colors are used in the closets, keeping the overall palette neutral. Pike tells Martha Stewart Magazine that he faced a challenge that we all face: the need to maximize storage. He sacrificed a few feet in every room to allow for deep doorways that contain hidden, paneled closets, each devoted to specific belongings. “I’ve been collecting for years, and I’ve made everything work in this space,” he says. 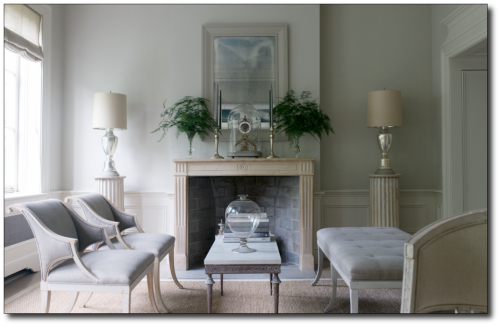 Many Gustavian styled homes aren’t cluttered, and here you will see an excellent example of a paired down look. Collectibles are grouped together much like the closet featuring Pikes tableware and silver urns, or grouped on side tables. The look is very much clean and organized. Look at the impressive storage in the above three photos. Boxes are used in closets for odds and ends keeping everything in place. In any home, there needs to be a lot of attention paid to storage if you want an uncluttered appearance. This is especially true for smaller sized apartments. For my own home, I have used the over-sized boxes that come with Crate and Barrel for my blankets which sit in the closet. When I go into my closets, they look clean and organized even if they are in boxes. In this post I show where you can buy large boxes with lids for as little as $3 Paint the boxes with flat paint, and customize your closets by painting the interior and the boxes so both match. If you have a home that is based around gray, white or beige, consider doing something extra special for the closets. In my storage room in my garage, I am going with a Alpine green with boxes to match. Why not! Consider a bold blue or even a baby blue for your closets. Pantry and linen closets can be one of the most creative areas to experiment with color.